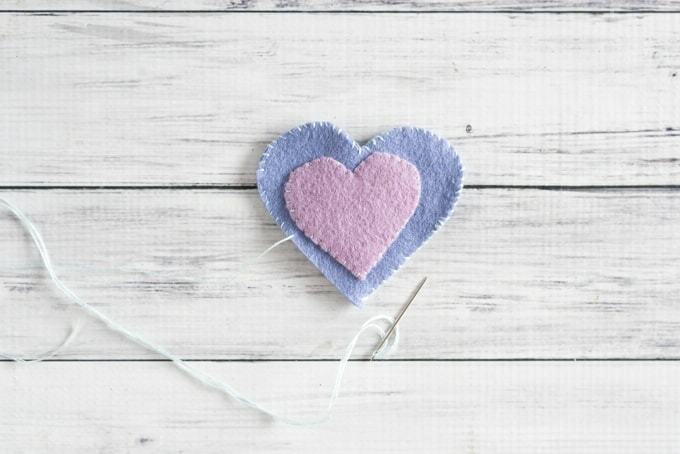 Please note: if you found this post because you were searching for printable heart templates, you may want to visit this post with over a dozen different styles and sizes of free printable heart templates! I’ve always loved giving handmade gifts, whether they’re homemade or handmade by someone else. 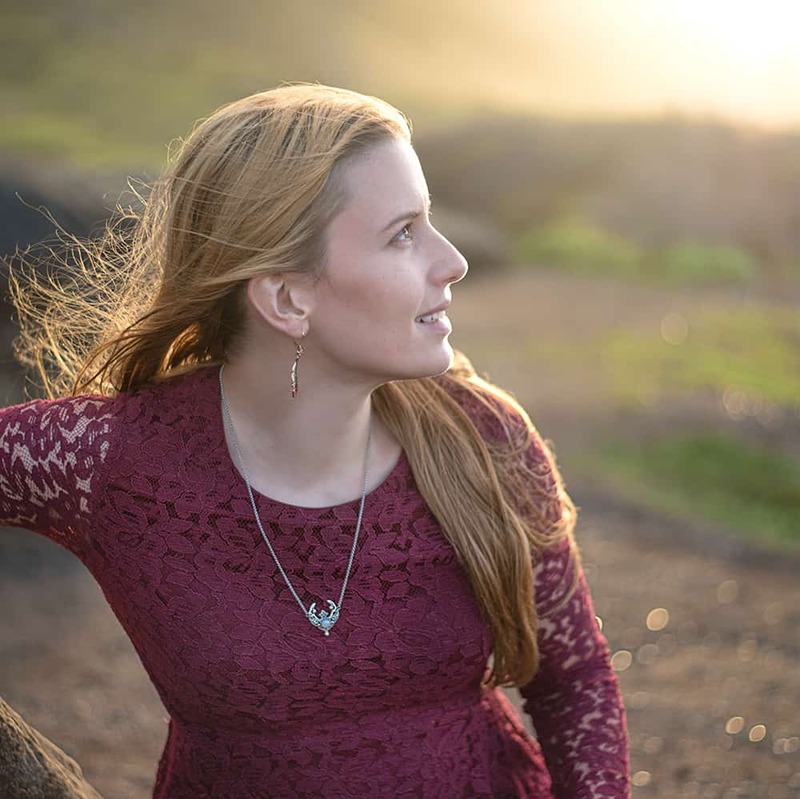 Since I started blogging, I’ve enjoyed sharing homemade gift ideas each holiday season and I’m excited to continue that tradition today! 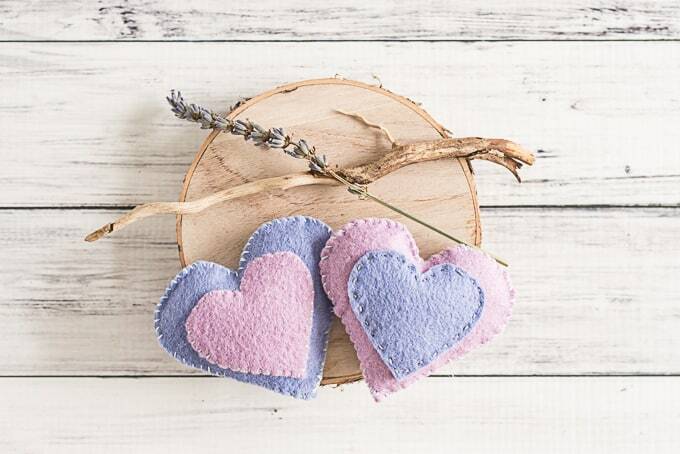 These DIY felt appliqué heart hand warmers are sweet and easy to make. 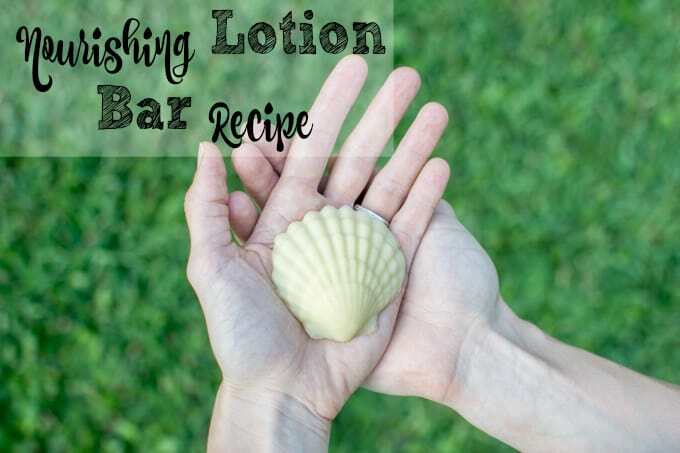 They’d be perfect as stocking stuffers or even party favors! Cut out your patterns and pin them in place on your felt. You will need 2 large hearts for each hand warmer and 1 smaller heart in a contrasting or coordinating color. 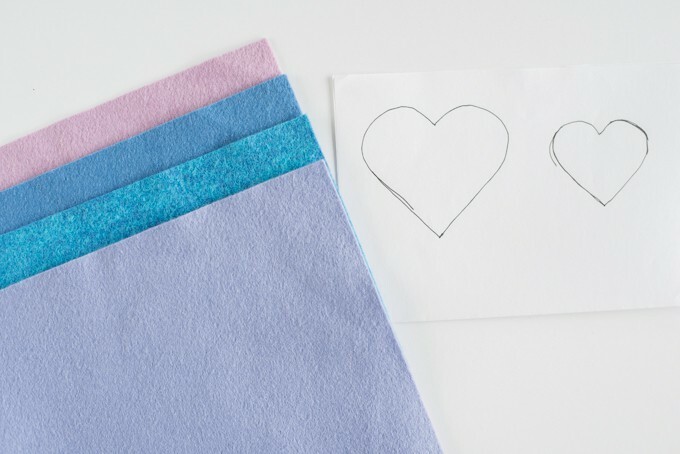 With felt, it’s best to cut each piece one at a time. 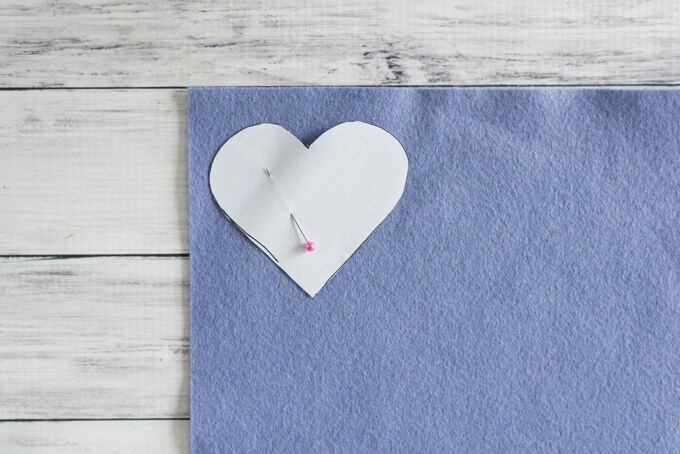 You can either hold the pattern in place with a pin or two, tape it down with packing tape and then cut through the tape while cutting out your heart, or trace the heart with a pencil of fabric chalk. 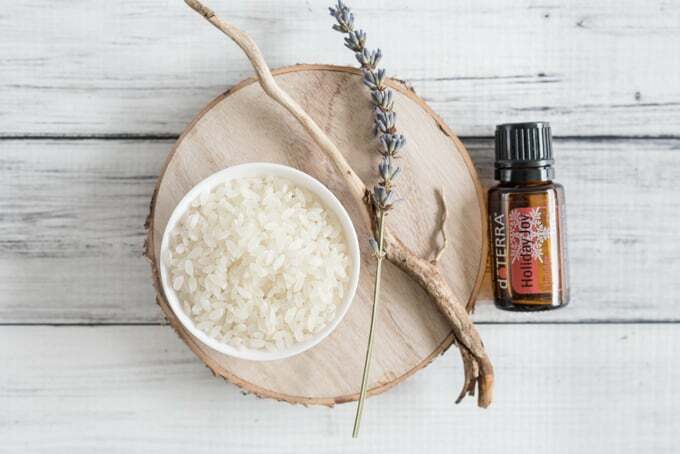 In a small bowl, mix the rice with essential oils, if you’re using them. 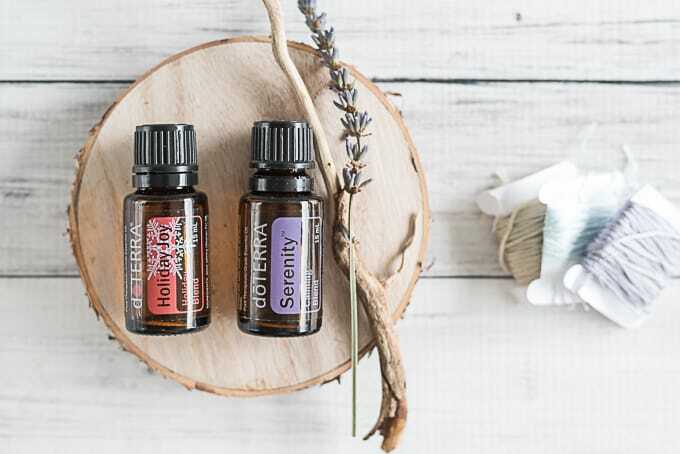 I recommend using only 1 or 2 drops per hand warmer, but it depends on the oils you’re using, how strong they are, and your personal preferences. Finally, stitch your heart closed! 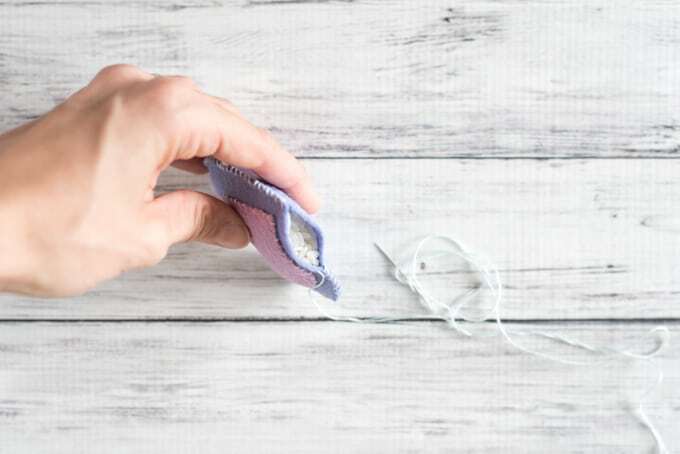 Secure the thread (you can use a small knot or your favorite way to finish hand stitching) then push the needle in through the rice and back out somewhere about an inch away. 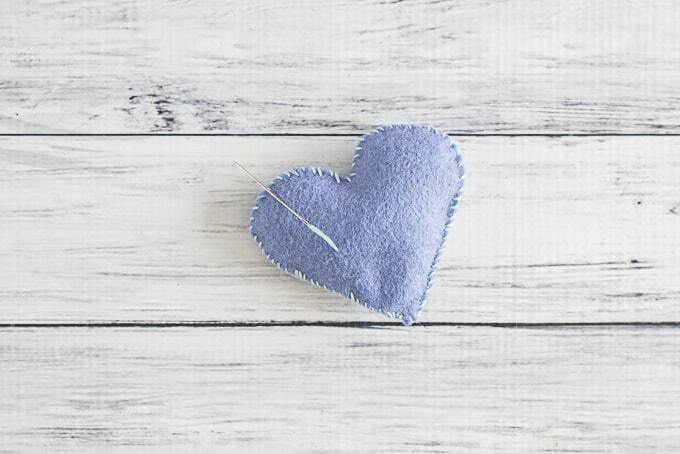 Pull the thread tight and very carefully clip it next to the heart. Wiggle the heart around/pull the sides apart a little to pull the thread’s tail back inside the heart. This helps keep the knot from working loose. To use, simply pop a heart in the microwave for a few seconds. With my microwave, 15-20 seconds is perfect, but microwaves vary quite a bit so please carefully test your microwave and hand warmers to find out how long to heat them. If you want to make multiple hearts, I recommend creating them simultaneously instead of one at a time. In other words, go ahead and cut them all out at once, then appliqué them, stitch most of the way, fill with rice, and then finish. Closing up each heart immediately after filling it is easier that filling all the hearts then closing them all up, but creating multiple hand warmers simultaneously helps keep your brain on the right track and saves a little time. 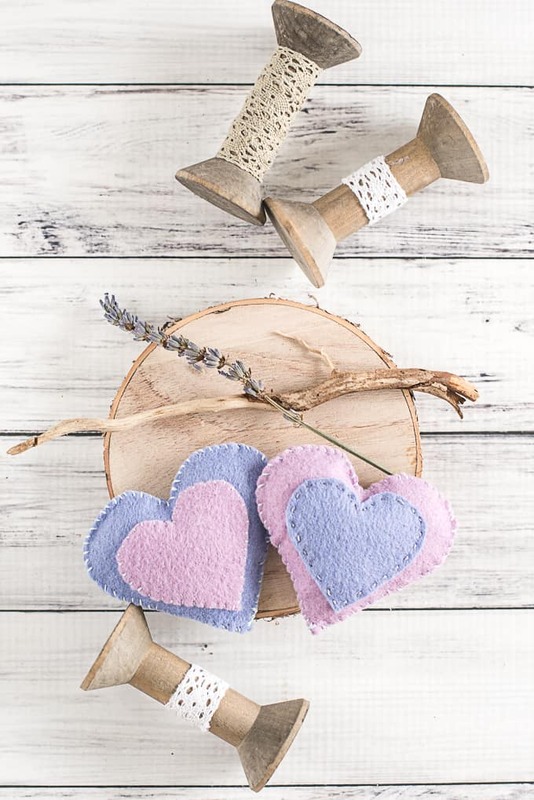 I really hope that you enjoy these heart hand warmers, with or without essential oils! 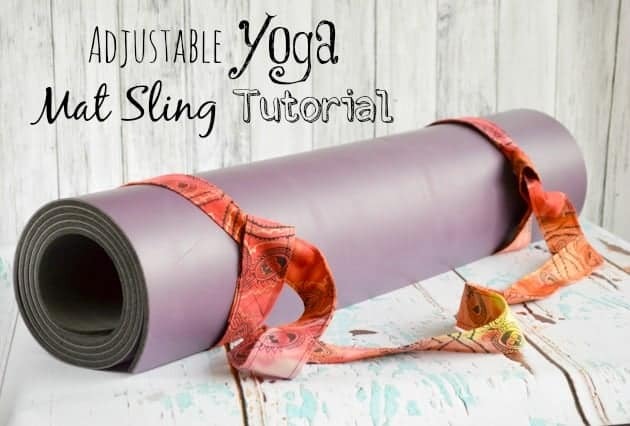 If you’re looking for more handmade gift ideas for people who are into taking care of themselves, you may also like these tutorials! Are you already working on handmade Christmas gifts? I’m reaching out today to ask permission to use this image. Of course, we’ll give full credit under the image to The Artisan Life and a link to your website. Please respond to this email no later than EOD Thursday, Oct. 5th if you do or do not wish to be included.